It's so bittersweet to come back from an overseas trip and while part of me really wants to go back to enjoy the bliss and lack of responsibilities, another part of me is just extremely grateful for the amazing trip that had just transpired. There were many firsts during my trip as I travelled with my sister, who pushed me out of my comfort zone numerous times (even though I would very much love to stay nestled in). 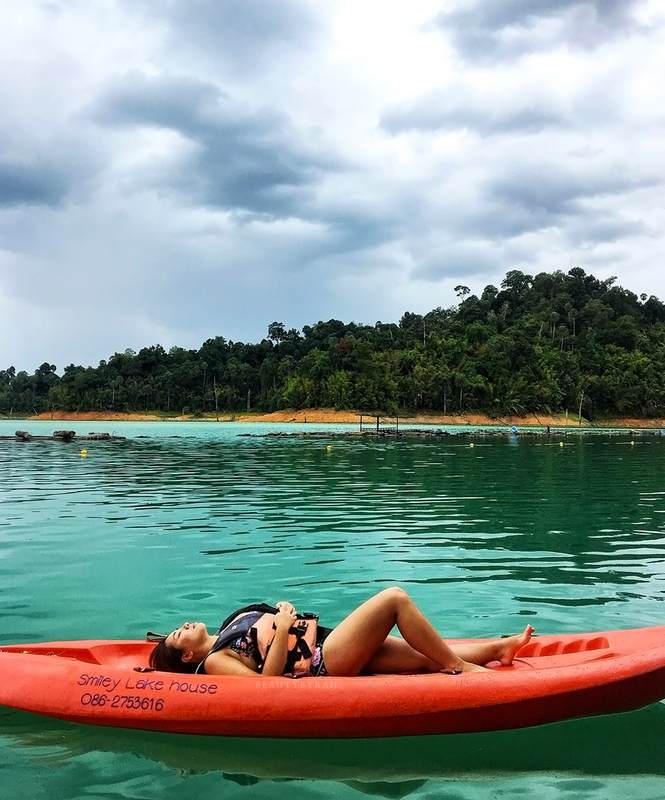 In a span of a week, I attempted rainforest trekking, took a long tail boat, stayed on a lake, explored a cave, fed and bathed elephants, had my first muay thai, yoga and thai classical dance class, and ziplined across the trees in the jungle. For a timid city girl, this list is definitely something I would never expect myself to accomplish, let alone enjoy. And despite sounding a little egotistical, I am so proud of myself and so grateful that I was able to try all of these out. I had quite a bit of time to pen down my thoughts during our journey, and here are 4 things that I have learnt from this mini adventure. The mentality of wanting more is so pervasive in our society that sometimes, materialism can be considered almost inevitable. I used to be extremely materialistic, thinking that buying things and owning tons would make me happy. Of course, after the course of many years, I finally realised that happiness doesn't come extrinsically. Throughout my trip, I've encountered many Thai people and I noticed how many of them were happy and satisfied with what they have. They do not have piles of material stuff and the lack of many things we take for granted like electricity and proper toilets did not stop their eyes from lighting up and a smile from forming on their faces. 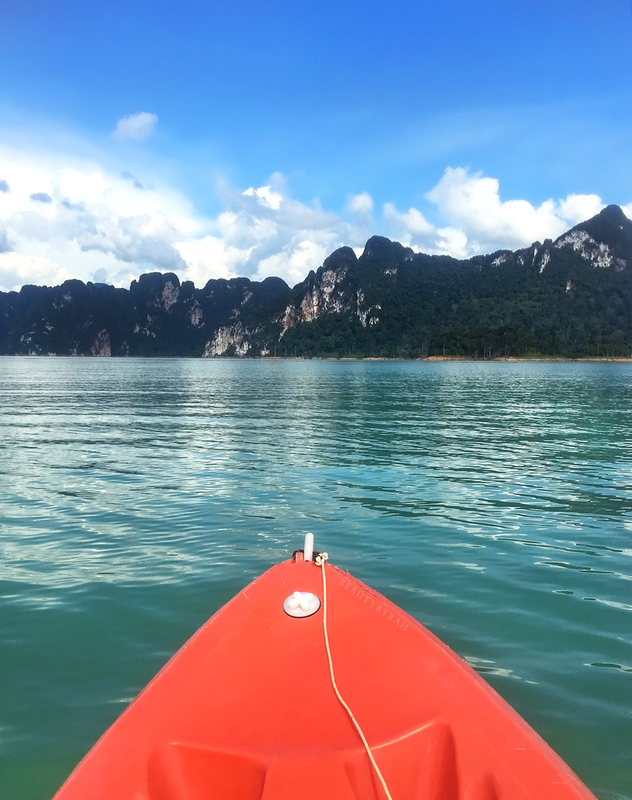 While I was there, we booked an overnight lake tour at Khao Sok (with Smiley Lake House) and I honestly do recommend it as I think it was a lovely experience. However, as a spoilt city girl, I struggled pretty hard while living on the lake, wishing for a proper bathroom and brighter lights to see where I was going. As I sat there in pitch darkness in the middle of the night as I was unable to sleep, I realised that I took so many things that I currently have for granted. As I type this now, I'm comfortably seated on my bed in my air conditioned room with electricity to power my laptop charger and the lights. It may seem basic to me, but it didn't strike me how some people may not have as easy an access to these. These people were making the best of what they had, instead of constantly complaining and craving more. I realised that my habit of constantly looking out for what's better is the obstacle to me being completely satisfied and happy. Of course we should always strive to improve, but I learnt that it is ok to be satisfied, especially in a world where it seems wrong to just stop and enjoy. With rapid developments and constant change, the race to be better and get better never ends and I realised that my mind was always participating in that futile race. I was always on the hunt for something more or something better, be it a better pillow to sleep on (which I am extremely guilty of doing) to what other makeup products I can buy to satisfy that metaphoric hole in my heart. I was trying to fill my life with material things in order to "improve my life", rather than appreciating what I have in my life currently. I honestly learnt to be grateful and to give thanks to the Universe for all that its provided me so far. As a kid who never attempted many things as I was afraid of failing, I never really pushed myself. I always fantasised about living a certain lifestyle, but lacked the motivation and trust in myself to actually get up and go live it. A huge aspect of that was in terms of my physical ability. As someone who struggles with her weight constantly and hated physical education classes since young, I doubted myself on whether I could trek the jungle or hike a mountain or do any exploration that requires a fit physique. Sad to say, but I honestly always thought of myself as weak. During this trip, I came face to face with many fears. The first time was when we were trekking the Khao Sok National Park and I did not see anyone else. It may sound super silly to some of you but I was extremely terrified of being alone (my sister doesn't really count). Thoughts on wild animals popping up or just me slipping and injuring myself without anyone to help me filled my mind and my muscles were tensed up the entire time. There were so many times I wanted to turn around and run back to the safety of my hotel room, but my sister forced me to go on, which I am glad that I did. The second time was when we entered the Nam Talu cave in Khao Sok. This brought me face to face with many of my fears - the dark, water, frogs, spiders, sharp rocks and narrow tight spaces. Part of me did not want to go into the cave, but after the tiresome trek of about half an hour, I was determined to not waste all my efforts by waiting outside. The cave was pitch black and there were parts with water currents and water coming up to my neck. The ground was filled with rocks of different shapes and sizes and we were surrounded by sharp, jagged stones. So many scenes of potential final destination moments flashed in my mind as I struggled my way in and out but oh boy, what an experience. It made me realise that I can do it, albeit slower than others, but what matters is that it opened my mind to what is possible. I never thought that I would be able to go through with a cave hike, since fear usually controls me most of the time, but I realised that I am braver than I think I am, and I am definitely capable of more. It's time for me to get up and do more things that I was previously afraid of. My rational mind plays a huge role in my life and I rely heavily on logic to make my day to day decisions. Even if I am not a fan of always being so cautious and uptight, my decisions are mostly based on what I think should be right. Thus, just relaxing and going through the motions is extremely difficult for me. I can't seem to fully immerse myself in many experiences as my brain would come up with cautionary tales and think of stupid things like I should not get this dirty as laundry would be a pain. What if I can't wash this off? What if I fall and injure myself? What if, what if, what if... This usually causes me to always take a step back and watch cautiously from afar, instead of diving in and getting all up and dirty. 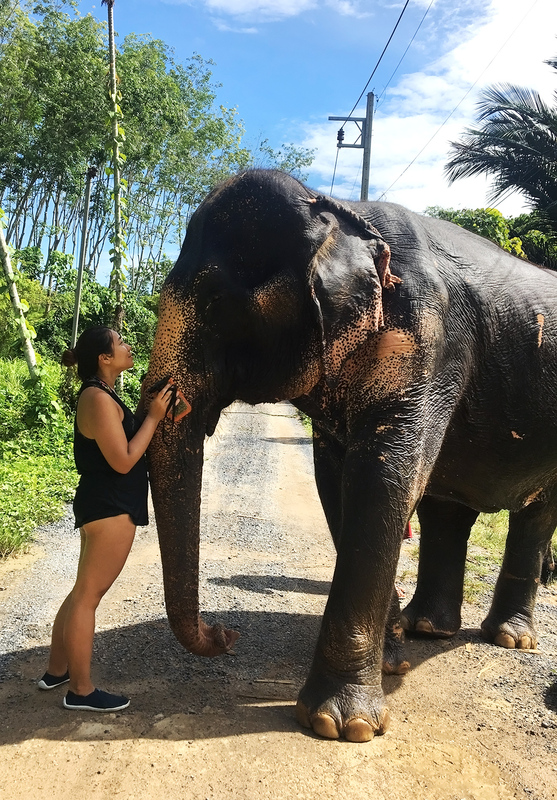 When we were in Phuket, we decided to visit the Elephant Jungle Sanctuary. We got the chance to feed them, bathe them in the mud and in the water pool. Logical thinking me would probably not go anyway near the mud, as it is dirty and laundry after would be a killer. I know, even as I am typing this, I realised how much of a drag I could be. This time round, I pushed myself to dive in straight and not think about what is going to happen after. This led to me having one of the happiest times of my life. Playing in the mud with the elephants and then scrubbing them in the water pool where their poop was floating around was truly amazing. These elephants were majestic and I was so happy to be this close to them. There was this 70 year old grandma elephant named Sandy and she was a true joy. I could hug her trunk and stare into her eyes all day. All these would not have been possible if I was afraid of getting close and dirty. I learnt to let go more, and just go with the flow. When I was flying back to Singapore, I was writing my journal and I had an epiphany. I noticed myself being able to wake up really early in the morning whenever I am on a holiday but when I get back home to my regular routine, even waking up before 10am could be extremely painful. The enthusiasm and anticipation during a holiday fuels me up, making me eager to get up and explore. However, back home, the curiosity and zest for life is greatly diminished as I struggled to get by day by day. It made me realise that my mentality about my life is plain wrong. Sure, my environment and surroundings are different when I am overseas versus my mundane routine back home, but that should not dampen my curiosity and excitement for life. 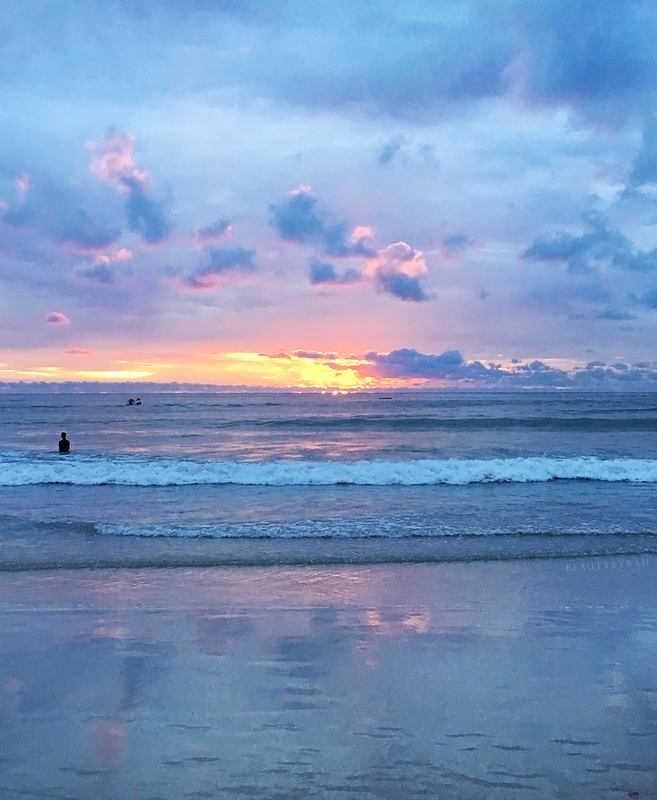 I realised that I was just simply getting by while anticipating my next getaway. Isn't it sad to have a life that I constantly want to get away from? Why shouldn't I be excited for the day when I am back home? After all, there are never ending things to explore and experience, and I should make full use of my time when I am still alive. My temporal existence on this Earth is limited, and I should not waste my precious days constantly craving for an escape. I learnt that I should switch my mentality, to appreciate what is around me, even if the routine is stagnant and the environment is the same everyday. I told myself that I should try to change up my routine constantly as repetitions breeds boredom. Lastly, I learnt that I need to maintain that passion and zest for life regardless of where I am and what I am doing. 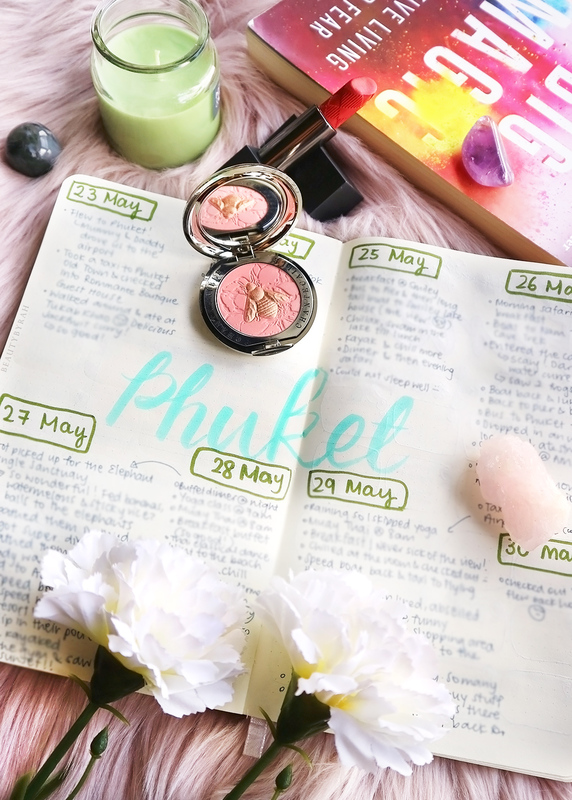 Despite being back from Phuket for about a week now, I noticed that by writing these thoughts down into my journal and onto this post helped me to further ingrain these lessons. 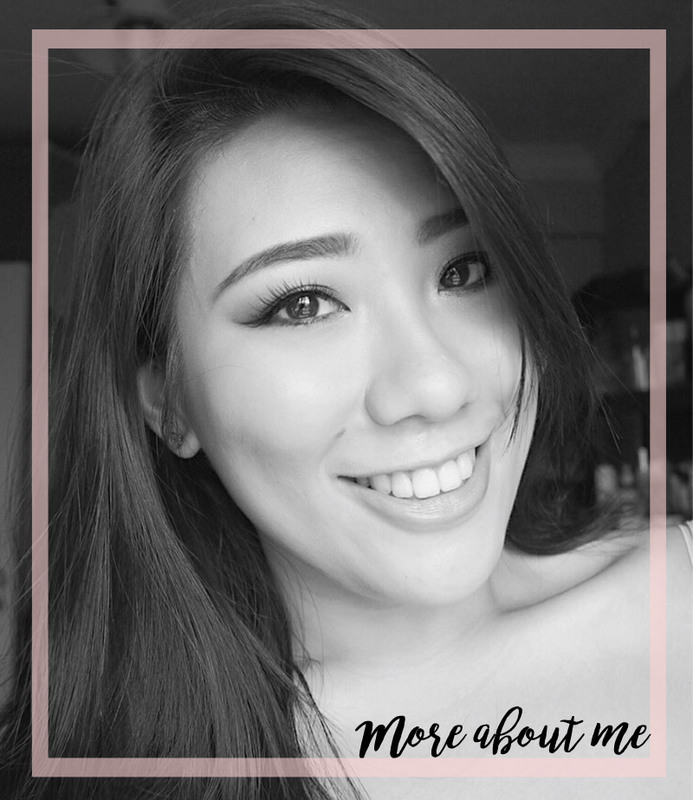 I am pushing myself to try new things in Singapore, such as volunteering at the pet shelter next week (exciting!!) and going for yoga and muay thai classes to switch up my routine. I hope this post wasn't too much of a drag and I hoped that by sharing this with you, it could help you start thinking about certain aspects of your life that you maybe did not think about before. Of course, all of us are different and our thought processes will inevitably differ as well. Regardless, thanks for reading and back to more beauty related posts next!